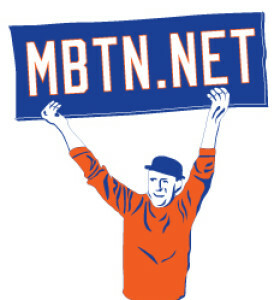 Around here, this time of year often inspires lots of speculation about inbound freight and what to outfit them in, but it was pointed out to me yesterday that other than the 40-man additions noted below, and the re-signing of three of our own free agents (Neil Walker, Rene Rivera, Yoenis Cespedes), there has been a grand total of zero new names on the sacred scrolls since September. Well, one new guy if you count incoming third-base/catching coach Glenn Sherlock, who will replace Tim Teufel in an act of mercy. Sherlock by the way wore No. 53 in a similar role with the Diamondbacks, so he feels more like a real coach and less of guy whose main qualification for the role was a job with the Mets in 1986. Players? There’s been none. No journeyman catchers with spring training invites, no Rule 5 picks, no lefthanded relief pitchers, no veteran bats on make-good comeback contracts, and of course, no Winter-Meeting-Three-Team-Twelve-Player Blockbusters (WMTT12PBs), which on a chilly December morning like this would warm old the hot stove. In the meantime we’ve seen a few Mets go away: Bartolo Colon, Logan Verrett (we’ll never forget how few craps he gave taking No. 35 still warm from Dillon Gee), and Johnny Monell. Obviously this will change if and when the Mets get around to addressing the Jay Bruce Question; for now I’m pleased that the team hasn’t given him away for nothing and I’m dubious in general that any relief pitcher ought to be fair value for a flawed but legitimate power bat like Bruce. And just maybe, they’re holding out on a secret WMTT12PB. Perhaps Bruce can find a home again — in Cincinnati. Trade him, Lucas Duda and Steven Matz for Joey Votto and a reliever? Votto’s the kind of Olerud/Hernandez type bat this club could really use, David Wright can’t be counted on being anymore, and guys like Conforto and Nimmo might not get the chance to be. Otherwise, we’re a adequately situated and familiar club that will require a lot to go right again in 2017. So sure enough opening night there was Tim Teufel, “along the lines at third” and wearing No. 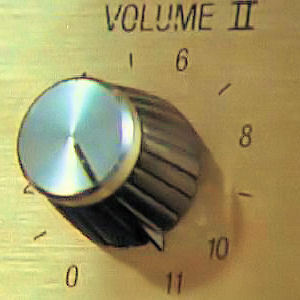 11, shedding the No. 18 he’d worn he’d worn as a Mets coach since 2012. Teufel as we know spent more than five years as Mets player wearing No. 11. And though 18 was never a good fit for him (it belonged during parts of his tenure to Darryl Strawberry, who according to reports cruelly tormented Teufel while they were Mets teammates) his retaking No. 11 represents something of a break with tradition too. Teufel is not only the first coach or manager ever to wear 11 but his occupation of it denies the jersey its distinguishing element: No number has appeared in as many games as No. 11 — 4,442 regular-season games through 2015, or nearly 52% of every Mets regular-season game ever. And until this year, only four seasons since the founding of the Mets have gone without at least one player appearing in No. 11 — 1967, 1968, 1997, and 2002. No. 7 (4,273 games) and No. 5 (4,208) are the next-most frequently employed jerseys in game action for the Mets but each are more than a full season behind even as they maintain compilers in Travis d’Arnaud and David Wright, respectively. Guys I’m sorry to have discovered all my fears of a lackluster spring training play out in front of us on opening night. As I write a few hours before Game 2 I’m thinking we have an obligation to make a statement and an ideal opportunity as well: They’re starting a right-handed slowballer, and we have Noah Syndergaard. And while any victory is acceptable, I’d really like to Mets to find out which of the Royals reserve infielders can also pitch. The moment to have celebrated Wayne Garrett seemed to have come and went without my having mentioned it here, so Happy Belated Wayne Garrett/Nigel Tufnel Day everyone. Garrett is probably the most prominent Mets No. 11 of all time, having lasted eight seasons in New York despite the Mets’ constant efforts to find someone else to do his job. Garrett was a Rule 5 pick from the Braves organization who got his chance with the Mets as a rookie platoonmate for veteran third baseman Ed Charles for the 1969 World Champions. Garrett was a fine fielder with a good batting eye who was cursed with “warning track power” — a flaw that prompted the Mets to try and replace him over and over again, beginning in 1970 (Joe Foy), 1971 (Bob Aspromonte) and 1972 (Jim Fregosi). None of them ever worked out, and by 1973, when Garrett acquired the third-base job by default and went on to have perhaps his best year in the majors, it was already becoming clear that had the Mets only believed in him a litte, they might not have what even today are still considered two of the dumbest trades they’d ever made. Despite developing few standouts, it seems as though there’s always been an No. 11 around. The Mets in fact have had a No. 11 on the field in all but four of their seasons (1967, 1968, 1997 and 2002) and went a stretch between 1991 (Tim Teufel) and 2000 (Jorge Velandia) when the jersey was worn by 13 men, none for more than a single year. Then again, we may be standing today at the cusp of a lengthy assignment for Ruben Tejada, who tried on the 11 jersey for the first time as a 20-year-old in 2010 and looks increasingly destined to succeed Jose Reyes as the Mets’ next shortstop. We’ll see though.